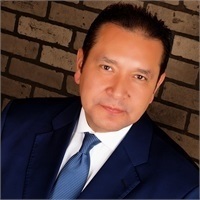 With over 22 years of experience in the Insurance Industry, Julio Soria is the Founder, President/CEO of Vital Financial Group. He joined National Life Group in July of 2012 as an Executive Managing Director (General Agent). He is currently leading an office in Sunrise and Coral Gables with expansion plans across all of South Florida. He previously held a position as Agency Director for MassMutual. He was responsible for creating a scratch unit operation of Financial Professionals helping them in their development and growth. In 2007, he was elected to become AIA/AIG Chief Agency Officer leading over 7 countries in Asia and generating over 2 billion dollars in annual sales with over 250,000 financial professionals. He has achieved much recognition throughout his career as an industry wide producer and leader with multiple companies. Some of those achievements are Million Dollar Round Table, Multiple Sales Manager of the Year Awards, Agency Fast Start, Agency President’s Club, Zone Trophy Award and The Most Growth in the Company Award. Julio has a BA from City College in Architecture, is married to his lovely wife of 13 years, Lourdes, and has two children, Rachel and Daniel. Julio Soria is a Registered Representative and Investment Adviser Representative of Equity Services, Inc. and offers securities in Florida. He is also insurance licensed in Florida. Securities and investment advisory services offered solely by Equity Services, Inc., Member FINRA/SIPC, 13450 W. Sunrise Blvd., Sunrise, FL 33323 (954) 315-4701. Equity Services, Inc. is a Broker/Dealer and Registered Investment Adviser affiliate of National Life Insurance Company (NLIC), Montpelier, Vermont. Vital Financial Services Group is independent of Equity Services, Inc. National Life Group® is a trade name of NLIC, Life Insurance Company of the Southwest, Addison, TX and their affiliates. Each company of National Life Group is solely responsible for its own financial condition and contractual obligations. Life Insurance Company of the Southwest is not an authorized insurer in New York and does not conduct insurance business in New York. *Membership and awards are based on sales criteria.